If you’re like most divers, you’ve heard of — and perhaps adhere to — procedures that are considered “normal” within our sport. A few classic “always and nevers” include: always dive with a buddy; always do your deepest dive first; always wear a snorkel; never put your mask on your forehead; always end your dive with at least 500 psi remaining in the tank and — perhaps the number one scuba diving “never” of all time — never hold your breath. At first glance, these might seem like black-and-white concepts. Except, guess what? They’re not. At least not entirely. This might sound like I’m on the verge of committing scuba heresy, but please take a couple of deep breaths and keep reading, because in this article we’ll examine — and even challenge — several widely accepted “rules” of scuba. Human beings are social creatures. We essentially want to be accepted in society, to be viewed as normal. Without diving deep into sociological terminology, the concept of norms provides a key to understanding social influence in general and conformity in particular. Social norms are the accepted standards of behavior of social groups. Behavior that fulfills these norms is called conformity. Social norms often evolve into rules, which are defined as explicit or understood regulations or principles governing conduct within a particular activity. Rulemaking is one of the basic impulses humans have for organizing and simplifying actions. Norms — and the rules that often evolve from them — provide order in society. These are some of the reasons why most people, most of the time, conform to social norms and abide by certain rules. The thing about rules is that sometimes they are based more on folklore than fact. And sometimes rules change when new facts are revealed. Take Nitrox diving, for instance. When it was first introduced decades ago there was a big hubbub about it being a dangerous “voodoo” gas that could potentially kill divers. It was condemned by the major scuba diving magazine at the time and banned at popular dive destinations. Now we know differently and divers everywhere are safely using Nitrox. Those who challenge social norms and set out to bend or even break the rules sometimes find themselves at the center of controversy. They often get branded as troublemakers and might even find themselves at odds with the law. However, these people also tend to be significant change makers. Let’s examine some commonly accepted scuba rules regarding equipment and dive practices that might be worthy of bending. If nothing else, they’re worth pondering. The snorkel is a required accessory for scuba diving students and their instructors to wear during training dives. But once certification requirements are fulfilled there are instances when wearing a snorkel attached to the mask can prove problematic. For instance, it presents a potential entanglement hazard when scuba diving in overhead environments, such as wrecks or caverns. In addition, it can create drag when diving in a current. Still, a snorkel is a useful accessory when at the surface. In recent years several innovative scuba equipment manufacturers have developed flexible snorkels that roll up small enough to fit in your buoyancy compensator (BC) pocket and/or fold into their own “shell” carrier that clips to the BC. For this reason, I’d like to edit the “always wear a snorkel rule” to read, “always carry a snorkel.” When the dive is done and you’re ready for a surface swim, locate your snorkel, attach it to your mask and you’re good to go. Never put your mask on your forehead. Okay, this one is a pet peeve of mine. I wrote about it in the May/June 2016 Final Check column, titled, “What It Looks Like When … Safety is Your Best Practice.” Somehow, somebody got a whole bunch of divers believing that placing the mask on the forehead is the international signal for “diver in distress.” Except, that’s just plain wrong. It is not uncommon for a panicky diver to jettison the mask and regulator. This action is a panic response, which is an indication, or a sign, that the diver is experiencing a problem. However, it is not a signal, as in “if you are having a problem, put your mask on your forehead to signal you are in distress.” If you surface from a dive and need help, signal, “I am in distress and need help” by waving one or both arms above your head. (It’s also a good idea to use an audible signaling device such as a Dive Alert™ or whistle.) There are plenty of instances when a completely happy, non-panicky diver might place the mask on his or her forehead without incident. That said, there are times when placing the mask on the forehead might not be a good idea, like when you’re in choppy seas. If your practice is to prop your mask on your forehead upon surfacing from a dive instead of leaving it in place, you run the risk of having the mask dislodged by a wave — and getting lost to the deep. Believe it or not, this is actually a hard-and-fast rule in many tropical dive destinations. In some locations, divers caught wearing gloves while scuba diving, face stiff penalties. (Fines may also apply to dive operators.) The idea behind this rule is that wearing gloves encourages divers to grab — and subsequently damage — delicate corals, whereas barehanded divers will think twice about doing so because they risk being cut by sharp coral or stung by stinging marine creatures. I wholeheartedly support the environmentally conscious intent behind this rule. However, I do not agree with the practice of strictly prohibiting divers from wearing gloves. Some divers have medical issues requiring them to protect their skin from exposure to sunlight, have clotting issues that turn a simple cut into a medical crisis or run risk of infection due to a cut. These folks shouldn’t need a note from their doctor in order to be allowed to wear gloves while diving. This month’s Final Check column, “What It Looks Like When … You Are Careful What You Touch,” addresses the potential danger of grabbing a marine-life encrusted mooring line during a safety stop. While no one associated with this magazine promotes the wanton destruction of marine life, we think the ban on dive gloves goes a bit too far. Instead, we’d like to see industry stakeholders continue to promote environmentally safe scuba diving practices that encourage divers to avoid touching corals, while still allowing them to wear gloves when needed. For instance, a diver can easily stash a pair of gloves in a BC pocket and retrieve them for use when grasping an encrusted mooring line during a safety stop. Always turn the tank valve back a quarter- or half-turn. Before entering the water, make sure you tank valve is turned all the way on. This one’s been around forever. And it’s wrong. Don’t do this. Instead, always turn the valve all the way on and leave it that way. Do not turn it back at all. Apparently, the reason this practice got started is because someone decided that divers might inadvertently “strip” the valve by attempting to turn it on after it was already on. Tank valves are pretty hardy. The chances that you’ll damage a valve are slim. However, if you partially close the valve and then descend to a deep depth, the partially closed valve could restrict the airflow from the valve, making it difficult for you to breathe while on a deep dive. To avoid having problems with restricted airflow at depth always turn the valve all the way on. You are more important than a tank valve. Never turn it back a quarter- or half-turn. Never dive alone. Always dive with a buddy. When recreational scuba diving first started, the relatively crude nature of early dive gear made it necessary for divers to help each other out. The buddy system was born of common sense. It’s hard for many new divers to imagine going on a dive without a BC, submersible pressure gauge (SPG), alternate (or redundant) air source or a dive computer, but all these devices were absent from early dive training. They simply hadn’t been invented yet. Keeping this in mind it’s easy to imagine why having a buddy was considered mandatory. In fact, buddy breathing — sharing one tank and regulator between two divers — was a critically important skill taught in early scuba classes. 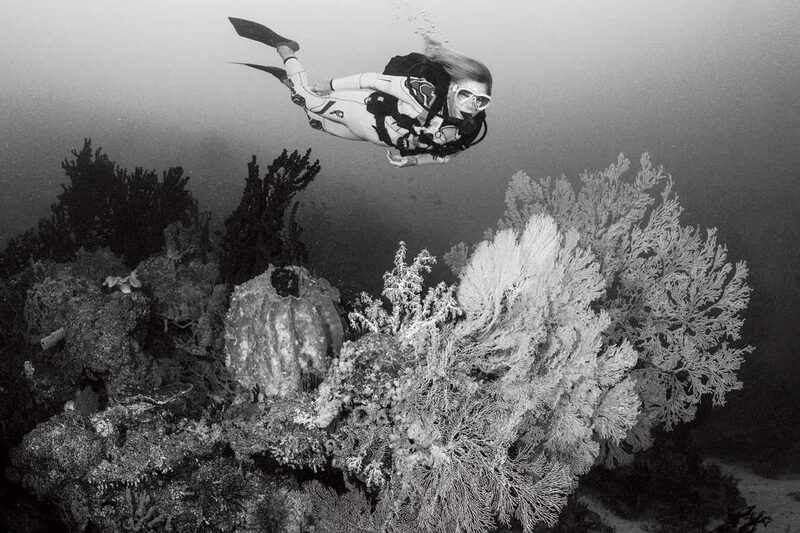 Over several decades, equipment advances have enabled divers to become safer. And more self-sufficient. Thanks to the development of alternate air sources and redundant air delivery systems, and the fact that buddy breathing itself could be inherently dangerous, the buddy breathing skill has been purged from today’s scuba diving training courses. Where it was once considered risky and even foolhardy to solo dive, the practice is slowly gaining acceptance. Several major scuba-training agencies offer Solo Diver and/or Self-Sufficient Diver certification courses aimed at increasing diver independence and reducing an individual’s dependence on the buddy system. However, despite advances in equipment and training, the issue of solo scuba diving remains controversial. Some industry experts argue that buddy diving can carry with it greater potential risks than solo diving. Some recreational divers agree, complaining about being randomly paired with a buddy they’ve just met. 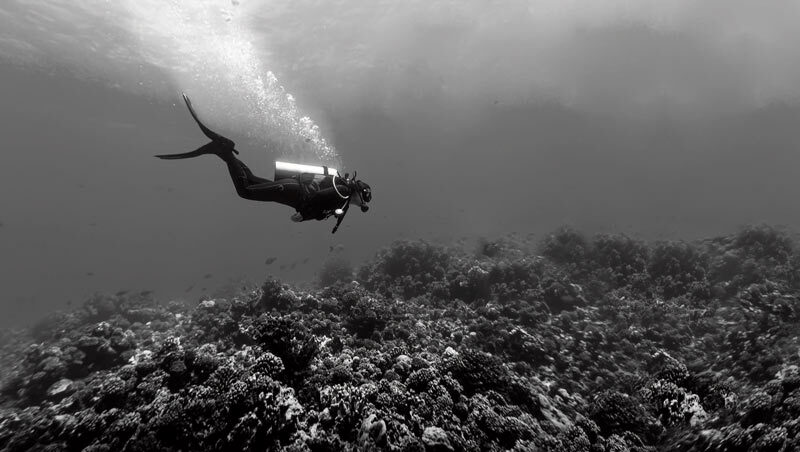 Some dive operators prohibit solo diving, insisting that their customers be in buddy pairs or teams, often on guided dives. 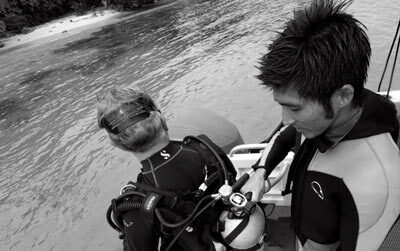 Still other dive operators allow solo diving for those qualified and equipped to do so. A word of advice for those who wish to solo dive on a charter: reach out to the dive operator in advance to discuss your solo diving preference. Be willing to provide proof of your solo diving experience. Recognize that the dive operator has the right to deny your request to dive solo and insist that you abide by their stated operational policies. If this is the case, you have the option to seek the services of a dive operator that welcomes solo divers. It’s also important to note that in certain areas, such as city, county, state or national parks, solo diving might be prohibited. It pays to read the fine print when planning a solo dive inside park waters. On a personal note, I’ve made my share of solo dives, usually on shallow sites not far from shore. I have enjoyed the freedom and solitude of solo diving without any problems. I think those who are willing to accept responsibility for their own safety as a solo diver should be respected rather than viewed as reckless. No matter where you stand on the issue of solo diving, I think we all can agree that every diver should train and equip for self-sufficiency and be able to handle potential problems that might arise during a dive. Always do your deepest dive first. “The issue of reverse profiles is sometimes confusing because the term actually can have two meanings. First, a reverse profile can refer to a series of repetitive dives where the deepest is not the first in the series. On the other hand, it can also describe a single multilevel dive that doesn’t follow the ‘stair-stepping’ procured described earlier; and the diver finds him or herself in the deeper phase of a dive after completing a shallower segment. Both procedures violate the deep-first rule. It may surprise you to learn that the deep-first rule is a relative newcomer to the diving liturgy, traceable only back to the 1970s. The story is also an interesting lesson in the history of scuba diving. A popular assumption is that the recreational scuba diving community simply adopted the deepest-first rule from the US Navy. Such an assumption seems entirely reasonable given that the USN Tables were the first standard for recreational scuba diving. The problem is, it’s not true. The US Navy does not now, nor did it ever, have any prohibition against reverse profile diving. In fact, one of the example dive table problems an older version of the US Navy Diving Manual involved a reverse profile. Likewise, there is no such prohibition in commercial scuba diving. So where did the rule come from? The first suggestion to make the deepest dive first appears to have been offered in a relatively obscure reference — and only as a suggestion — by a researcher named Dennis Walder in 1968. His rationale was that by making the deeper dive first, one might crush “silent bubbles” — assumed progenitors of decompression illness — making the development of bends less likely on that and subsequent repetitive dives. But this was based primarily on theory and informed speculation, not empirical evidence. Moreover, no reference to any deep-first guideline appeared in any recreational diving literature until 1972, when the following statement was published in PADI’s Basic Scuba Course Manual (a curriculum segment of the then-current PADI Instructor Manual): ‘One very important rule — WE ALWAYS MAKE OUR DEEPEST DIVE FIRST when using the dive tables.’ No rationale was provided, though examples were often included during training showing the aforementioned advantage of avoiding decompression stops. By the 1980s ‘deep dive first’ was growing beyond a recommendation. Always end the dive with at least 500 psi remaining in your tank. This statement is uttered during practically every pre-dive briefing in locations all over the world. The rationale behind it is solid; divers should plan their dives well and monitor their gauges carefully to avoid running low on — or out of — air. And responsible dive guides should remind divers to monitor their air supply to avoid an out-of-air emergency. However, in some instances, well-meaning but overzealous divemasters might take it a bit too far. I’ve heard divemasters jokingly “threaten” divers with penalties, like, “You’ll owe me a 6-pack,” if they surface with less than the mandated 500-psi. If a diver is nearing the end of a dive and needs to consume air below the 500-psi mark in order to complete a safety stop, the diver should feel comfortable doing so without fear of reprisal by the dive crew, because there’s simply no place for shaming in scuba diving. Never, ever make contact with the bottom. In some instances, making contact with the bottom is considered an acceptable practice. If you haven’t wanted to burn me at the stake by now, here goes. Over the years we have occasionally published photos of divers kneeling on the bottom. This usually results in a flurry of reader letters calling Dive Training out for promoting bad diving practices. Most recently, in the July/August issue, we ran cover photos that feature two divers standing/kneeling on a sandy bottom while on a shark dive at the famous “Tiger Beach” dive site off Grand Bahama Island. I am one of the divers pictured in the photo. I’m not sure where or when the “never touch the bottom” rule got started, but I can assure you there are several instances in which kneeling in the sand is an accepted practice. Tiger Beach is a perfect example. The site is shallow (less than 30 feet [10 m]), there’s usually a moderate current running — and the water is filled with sharks. For these reasons, attempting to stay neutrally buoyant, kicking hard against a current while hovering a few feet off the seafloor and keeping an eye on the sharks would be impractical — and potentially dangerous. Here, kneeling in the sand is the best practice. 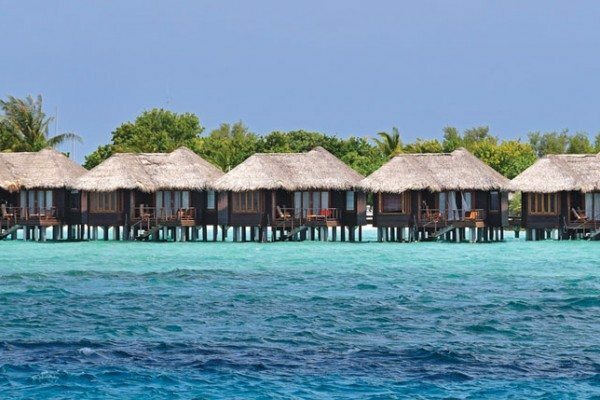 Dive operators in other parts of the Bahamas, Fiji, Tahiti, the Maldives and other popular dive destinations follow this practice. Those who teach underwater photography know it is better to position beginning photographers in a sandy patch adjacent to a reef than to have them crashing into the coral while just starting out with a camera. Yes, the sand biome contains marine life, but in most instances it is not as delicate as fragile corals. A diver who carefully settles on a sandy area will have minimum impact on the environment. In parts of the world where strong currents are common, dive operators instruct divers in the use of “current hooks” as a means of having minimum impact on the environment. A current hook, as its name implies, is a large hook attached to a short length of line with a clip at the other end. The clip attaches to a D-ring on a diver’s BC. Divers learn to hook into an area of coral rubble in order to stay put in a strong current. By using the hook, they avoid grabbing the bottom with their hands. 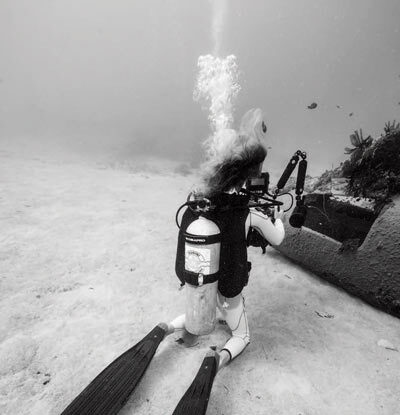 Here’s one more real-world “contact” scenario: If a diver accidentally ventures too close to the reef, rather than kicking to attempt to move farther away, using a one-finger touch of a dead or algae-covered section of reef to carefully push up and away from the reef is likely to prevent the diver from damaging living coral. The “look but don’t touch” mantra is ideal, but there are instances when it’s not always practical. What I’m suggesting here is careful and conscientious contact with the bottom (and with dead sections of coral) when conditions warrant it. Always breathe continuously. Never hold your breath. As I mentioned earlier, this is arguably the “number one rule” of scuba because breath holding while scuba diving can lead to serious injury, even death. However, there’s a however here. I bring it up in honor of a diver I met years ago. We’ll call her Janet. I guided Janet on her first recreational dives after she got certified. She bought a weeklong dive package and her first day of diving with the dive center where I worked went flawlessly. The conditions were perfect and Janet appeared comfortable in the water. I took a few underwater photos of her, smiling and signaling “OK.” She said she had a great time. The following morning, she was waiting at the dive shop very early when I showed up for work. She told me she wanted to cancel her dives. When I asked why, Janet explained that she’d been awake most of the night because she was worried that she might have accidentally held her breath at some point during the dive the previous day. She said, “My instructor drilled it into our heads, ‘If you hold your breath, you will die,’ and I’m just afraid. I can’t remember if I held my breath or not, but I don’t want to die.” I explained in great detail why divers should breathe continuously and avoid holding their breath. When I was finished, Janet decided not to give up on scuba diving after all. She sat out the morning dives in favor of some sleep, but was back out on the boat later that afternoon. So, here’s my little secret about breath holding while scuba diving. I often do it when taking underwater photos. I admit this not to encourage any diver to adopt the practice of holding their breath while on scuba, but rather to add some clarity to the breath-holding issue. If you’re like me and you sometimes briefly hold your breath while stationary, it is unlikely you will risk a lung-expansion injury. The key here is the word “stationary,” as in remaining in place and not ascending. If you hold your breath while ascending, you do indeed put yourself at risk of a potentially serious and possibly fatal lung-expansion injury. This is why scuba instructors drill it into students’ heads to “breathe continuously and never hold your breath.” But if you’re like Janet and you might have briefly forgotten to breathe continuously just for a second, say, when posing for a photo underwater, chances are, you’ll be okay. Still, do as your instructor insists. Breathe continuously and avoid holding your breath. If you’ve read this article all the way to the end, thank you. I hope you found it thought provoking. However, the take-home message I wish to leave you with isn’t about following rules. It’s about asking questions. Asking why we divers do or don’t do certain things is important. It’s how we learn and understand and it’s also how we grow. Not everything is black and white. I want to encourage you to ask the questions and find the answers and then question the answers if they don’t sound right. This is ultimately how we advance our sport, making it safer and more enjoyable for all. “Jump!” screams the divemaster, just after someone yells, “whale shark.” Suddenly I’m in the water and nearly eye to eye with a whale shark….